If the Savior ran for President, who would vote for Him? The Inspired Scriptures, written by the Holy Prophets, contained in what is known today by most people as the Holy Bible, are what most people believe that the religions all over the earth are following. So most people assume that the men placed in leading offices were picked because they were the ones most like the Savior in character, or maybe like the Holy Prophets or the twelve Disciples. But that’s not the case. According to the Inspired Holy Scriptures, written by the Prophets and Apostles, the practices of the religions today are far from what is taught by the Prophets of Yahweh, the Savior or His twelve Apostles. The Great Prophet of Yahweh, Isayah, shows that the priests (religious leaders) of today’s religions are cut off from Yahweh, so their prayers are not heard by the Creator. Notice in your own bible, or if you are blessed enough to own a Book of Yahweh, then read it there. Yes, that’s what Yahweh inspired His Holy men of old to name it. The Book of Yahweh in English is the closest translation to the original Hebrew to be found. Write, call, or email us for information on how to receive your copy. You will bless the day you did. Verse 5, transgressed Yahweh’s Laws? Yes! All religions on earth today, except The House of Yahweh, rebel against Yahweh’s Laws of Peace. 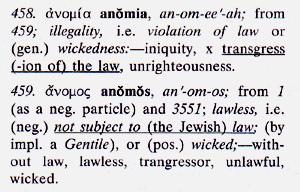 When you don’t practice Yahweh’s Laws of Righteousness, you belong to Satan the devil, so says the Inspired Apostle, as written in black and white in your bible. 8 He that committeth sin is of the devil, for the devil sinneth from the beginning. For this purpose the Son of God was manifested, that he might destroy the works of the devil. So who are all the religious leaders voting for in this time period? Satan the devil. Notice the words of the Savior. Compare the Apostle Shaul’s (Paul’s, KJV) words. The burning spoken of in Isayah 24:6 is shown to be powerful; powerful enough to move the earth and darken the sun. 18 And it will come to pass, that he who flees from the noise of the fear will fall into the pit; and he who comes up from the midst of the pit will be caught in the snare; for the windows from on high are open, and thefoundations of the earth are shaken. This nuclear age means this present time period. Notice the words priest and people are used together in bringing about the cause of the curses in the world today. Don’t think you are voting for the Savior, Yahshua Messiah, when you vote for priests who rebel against Yahweh’s Laws of Peace. That’s a vote for Satan, not for Yahweh or Yahshua. Isayah 24:2 means that the priests and people are involved in breaking and doing away with Yahweh’s Laws, Statutes, Judgments, and Ordinances. Also notice, these Inspired Words show all vocations of life involved in this rebellion. Notice the word transgressed again and remember the Great Prophet Isayah is showing what and who are involved in bringing this earth to ruin, desolation, because the end result of this system of religion (priests) that’s leading the world will be almost total destruction. If you think maybe this Prophecy is not true, consider this: the world did not get technology to build bombs that would cause the destruction shown in the Prophecies until my generation. Yet, the Great Prophet Isayah knew they would and prophesied what would be the result of that knowledge. The Prophet Daniyl was also inspired to show this destruction and the time period when knowledge would be increased, that the religions would use to bring about this prophesied destruction. Notice this in your own bible. Notice, “the time of The End” in verse 4. Technology to build devices that will bring destruction that never existed since there was a nation to this time would be developed. Add Yahshua Messiah’s Prophecy and you have the complete picture for this generation and the increase in technology that brought forth computers and the nuclear bombs that can destroy the earth. Nuclear bombs were brought forth by the use of the computer. Computers came with the increase in knowledge. Mankind cannot foretell the future. Yet, you just read Prophecies written thousands of years ago that are obviously true, correct, and have been fulfilled. This proves we can know full-well that the final Prophecies of these same Prophets are sure. …the foundations of the earth are shaken. Compare, because these different Prophecies show the same event, although written hundreds of years apart, and they are coming to pass now, as I write. Yahyl was speaking of our time period called The End or last generation. The Great Prophet Daniyl said, for this same time period, that for this to be accomplished “knowledge would be increased“. Until knowledge was increased, in the last 100 years, mankind’s horsepower actually came from horses. So what did Yahweh allow mankind to give him the increase in knowledge to create devices like the nuclear bombs? Answer: the computer. Think of this truly great Prophecy of The End. Yes, I know of all the Scriptural illiterate preachers whose only knowledge of this subject is, “No man knows the day nor hour of The End.” They don’t even know what it is that is supposed to end, or what takes place after that. Notice verse 34 shows definitely that generation is the generation in which all of these things will be fulfilled.Verse 33 shows most definitely that we will be able to see all of these prophesied things taking place. Those two facts should be easily understood, even by the unbelieving preachers who hold the whole world in profaneness. They are facts that you can see and know by Yahweh’s Prophets and the Savior, Yahshua Messiah, that will all come in this generation. #1 Bombs would be built that can darken the sun. #2 Knowledge would be increased to mankind to create these bombs. And that is exactly what all religions are using this increase in knowledge to accomplish. It could have been used to restore man and earth to their original state, but no thought of that, even though the original was perfect. Computers store knowledge. Without computers mankind would not have become capable of creating and building the nuclear bombs that were prophesied to be developed in this generation and to be used in this generation to darken the sun, bringing about the end of sin and rebellion. Think of what a miracle this is. Mattithyah 24 was written around C.E. 29. That’s 1,916 years before the atom bomb was created. The history of the atomic bomb started around the turn of the century when a small number of physicists began to think about, discuss, and publish papers about the phenomenon of radioactivity, the behavior of alpha particles, and the properties of various materials when irradiated. Initially, these persons included well-known scientists such as Ernest Rutherford of New Zealand and Great Britain, Neils Bohr of Denmark, Pierre and Marie Curie of France, and Albert Einstein of Germany. Later, the “nuclear group” was joined by Leo Szilard of Hungary, Otto Hahn of Germany, Michael Polenyi of Hungary, Walter Bothe of Germany, Lise Meitner of Austria, Hantaro Nagaoka of Japan, and others of similarly diverse backgrounds. Remember, Yahweh’s Last Days’ Witness was born in 1934. Prophecy shows that the Last Days’ Witness would do just that, he would witness, teach, foretell, and build The House of Yahweh at the protected place, and Yahweh would offer, once again, Salvation to those who would repent and convert to Righteousness (Acts 3:19). Back to the history of the nuclear bomb. But remember, Yahweh’s Witness had to be born in this same generation with the nuclear bomb and the increase in knowledge in order to see it firsthand. Earlier, in the spring and summer of 1942, nuclear scientists and their leaders in the United States became aware of a new material created by neutron bombard-ment of U238. This material was named plutonium by its discoverer, Glenn Seaborg. The use of plutonium for bombs would have several advantages over U235: greater explosive power, smaller size and weight, and easier manufacturing. Its atomic designation became Pu239. In the United States, the Manhattan Project (a name adopted for security reasons and derived from its birthplace) moved into high gear, even before Fermi had completed his demonstration of the feasibility of a controlled chain reaction. In September 1942 responsi-bility for managing the Manhattan Project was given to Leslie R. Groves, a colonel (soon to be promoted) in the Corps of Engineers. One of Groves’ first major decisions was to select Oak Ridge, Tennessee, to be the site for plants for isotope separation, to produce U235 from U238 in quantities sufficient for atomic bombs. In early 1945 Oak Ridge began shipping weapon-grade U235 to Los Alamos, where weapon development was taking place. Remember, Yahweh’s Last Days’ Witness was born August 28, 1934. I was almost eleven years old when the first nuclear bomb was dropped on Hiroshima, causing the deaths of about 140,000 men, women, and children. I remember the radio news reporting that event. Back to the history of the nuclear bomb. On August 6, 1945, the B-29 Enola Gay carrying Little Boy and piloted by the commander of the 509th Composite Group, Colonel Paul Tibbets, dropped its bomb on Hiroshima, destroying most of the city and causing possibly 140,000 deaths. The weather over the target was satis-factory, and the bombardier, Major Thomas Ferrebee, was able to use a visual approach. The bomb’s detonation point was only approximately 550 feet from the aiming point, the Aioi Bridge, an easily identifiable location near the center of the city. The yield of the bomb was 12.5 KT. Now notice next, just nineteen days before the birth date of Yahweh’s Last Days’ Witness, the second bomb was dropped. On August 9, another B-29, Bock’s Car, piloted by Major Charles Sweeney, dropped Fat Man on Nagasaki. The primary target for Bock’s Car had been the arsenal city of Kokura, but cloud conditions necessitated selection of the secondary target, Nagasaki. Bomb delivery was successful although broken cloud cover necessitated a partial radar and partial visual approach. The number of deaths at Nagasaki was approximately 70,000, less than at Hiroshima because of steep hills surrounding the city. The yield was 22 KT. Mattithyah 24 was written about 1,912 years before the first computer was built in 1941. Without the computer, built between 1939 and 1942, the bomb dropped on Hiroshima, three years later, would have been an impossibility. 20 The earth will reel to and fro like a drunkard, and will sway like a hut. The trans-gression in it will be heavy upon it; it will fall, and not rise again. 4 Who assemble and spend the night keeping memorials for the dead, who eat swine’s flesh, and the broth of abominable things; unclean foods, is in their vessel. Remember, all religions today, except The House of Yahweh, are doing what is right in their own eyes, which includes eating unclean animals. Now notice the Book of Leviticus, the book that guides one towards the Priesthood that Yahweh’s Plan from the beginning has taught. 5 You must therefore keep My Statutes, and My Judg-ments, which, if a man does, he will live through them. I am Yahweh. 8 Do not have sexual re-lations with your father’s wife, though not your own mother; it is your father’s nakedness. 10 You must not have sexual relations with your son’s daughter or your daughter’s daughter; your granddaugh-ters. Their nakedness you shall not uncover, for they are your own flesh. 29 For whosoever shall commit any of these abomina-tions, the person who commits them shall be cut offfrom among his people. 30 Therefore you shall keep My Ordinances, and commit none of these abominable customs, which were com-mitted before you, and that you do not defile yourselves with them. I am Yahweh your Father. 11 But you are those who forsake Yahweh, who forget My Holy Mountain, who prepare a table for that troop and who furnish a drink offering for that number. The King James Version rendered verse 11 as “forsake the Lord” instead of forsake Yahweh. But notice who is wrong. Below is a copy of the Hebrew text from which this verse comes. 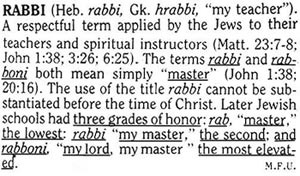 Notice now from the Hebrew-English Inter-linear, which shows they are forsaking Yahweh, not forsaking Lord. So, why would the King James Version, and most other versions, have Lord instead of Yahweh? Because the Pharisees, Sadducees and Essenes, who ruled Yerusalem and took The House of Yahweh by force, removed the Creator’s Name from the Holy Prophets’ Writings and replaced it with the word Lord. See the following copies from Unger’s Bible Dictionary. Lord. From where does this word come? Verse 27, they have forgotten My Name for Lord. Read again the word Lord from Unger’s Bible Dictionary. Notice now Isayah 65:11-12 from the Hebrew-English Interlinear. They who sanctify them-selves, and purify themselves in the gardens, following after the priest in the midst of those who eat swine’s flesh, that which is offered to gods (elohim) and the rodent—will be consumed together: says Yahweh. This is the same time period destined and prophesied for the whole world. The whole world, like Cain, has chosen the way of war. So Yahweh inspired His Prophets to show them how and when their choosing will bring about The End. The Prophet Daniyl was shown that in a coming generation knowledge would increase, giving mankind the means to build nuclear weapons that could and will darken the sun. These are priests who practice iniquity. None of the religions today teach or practice Yahweh’s Laws. They are not subject to Yahweh’s Laws. They are all practicing transgressing Yahweh’s Laws of Peace. They are all casting their vote for Satan the devil. Those who practice iniquity include all religions of the world, except The House of Yahweh. There is no Salvation in them. This is speaking of this generation of increased knowledge, the sins of the religions have reached their peak. It’s amazing that they can’t see the estate in which they have peaked. Love? Notice the Apostle’s Writing. If you do not practice Yahweh’s Righteousness, you do not love. Notice what Righteousness he’s speaking of. Remember this point, sin is breaking Yahweh’s Laws. Nuclear destruction will be upon the people as well as the priests they follow into sin. The people, as well as the preachers (priests). Notice, please notice, if you or the preachers you follow are not practicing Yahweh’s Laws, you and the preacher belong to Satan the devil. Neither you, nor they, have love and you abide in death. He will then say to those on His left hand: Go away from Me, you accursed ones, into the fire of The End of the Ages, prepared for the devil and her angels! Mitt Romney told the prospects that he was willing to use nuclear war and he would create jobs. Notice what the Savior says. 1 At that time the Disciples came to Yahshua asking; Who is the greatest in the Kingdom of Yahweh? 3 And said: Truly I say to you: Unless you are converted, and become like little children, you will not enter into the Kingdom of Yahweh. 4 Therefore, whoever humbles himself like this little child, the same is greatest in the Kingdom of Yahweh. 46 For if you love those who love you, what reward do you have? Do not even the publicans do the same? 47 And if you greet only your brothers, what more are you doing than others? Do not even the publicans do the same? 6 But whoever causes one of these little ones, who believe in Me, to sin, it would be better for him to have a great millstone hung around his neck and be drowned in the depths of the sea. 7 Woe to the world because of temptations to sin! It is necessary that temptations come, but woe to the man through whom the temptation comes! 15 Moreover, if a brother among you sins, go and prove his guilt to him—privately between you and him. If he listens to you, you have gained your brother. 16 But if he will not listen, then take one or two more with you, so that in the mouth of two or three witnesses every word may be established. For Salvation, you must repent of sin and convert to practicing Yahweh’s Righteous Laws. That’s what Yahshua taught His twelve Disciples. If Yahshua ran for president, only The House of Yahweh would vote for Him today, because we agree with Him 100%. Yahshua has already been given all Judgment. Yahshua is in 100% agreement with the Will of the Father, Yahweh. I can of My own self do nothing; as I hear, I judge. And My Judgment is just; because I do not seek My own will, but the Will of the Father Who has sent Me. Because you have refused Yahweh’s Words for 6,000 years, the whole world is now facing what all of Yahweh’s Prophets have warned you of…nuclear annihilation. Yahshua now sits (judging) at Yahweh’s Right Hand. After you preachers prove what your evil rebellion brings, which is what you just read in Isayah 24, Yahweh will allow you to destroy yourself, along with those you are leading into your rebellion. Then Yahshua will reign forever as King of Kings. About four-fifths of mankind will destroy themselves with this increase of knowledge, given to you in this last generation. With your knowledge, you started immediately using it for military purposes, to kill, to force, and to destroy. Now you will be allowed to use your nuclear bombs and all nations will suffer like never before. A third of mankind will be killed, first, in and around the great River Euphrates; but you still won’t repent. All the world will need to see the result of your evil rebellion against Yahweh’s Righteousness before Yahweh will stop what you are doing to yourselves. Then Yahweh’s Saints will rule, with Yahshua as King of Kings, with Yahweh’s Righteousness as an Eternal Guide, forever. Yes, forever! Those who are willing to repent now and be converted could become a part of this Great Work of Yahweh that has already started and is getting ready to take the lead in cleaning up the world after nuclear destruction. If you would like to be part of the Peaceful Solution that will guide what is left of mankind after the nuclear holocaust, call, write or email us. We are here to help. There is a Protected Place. 6 In His days Yahdah will be saved, and Israyl will dwell safely; and this is the Name that He will proclaim tothem—Yahweh Tsidqenu: YAHWEH OUR RIGHTEOUS-NESS. 8 But they will say; As surely as Yahweh lives Who brought up and led the seed of the house of Israyl evento the Protected Place, and from all countries where they had been driven; and they will dwell in their land safely. Yes, there is a Protected Place, in these Last Days, for those who will repent. No! You would not vote for Yahshua now, because your deeds are evil, and none of the evil (wicked) will understand. Your sins have you cut off from Yahweh’s help. But if you repent, confess, and convert, you will break this barrier between you and Yahweh, and He will hear and give you understanding. We are anxious to help, if you are willing to repent, confess, and convert. Call, write or email us for more information.